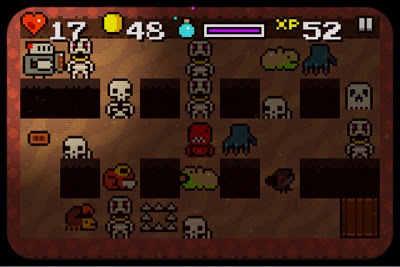 Dungeony for iOS is great - it's simple and challenging and I can play it with one finger while I am rubbing my son's back at bedtime - so it squeezes itself into my schedule perfectly. 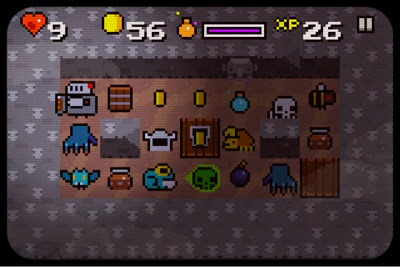 It's really difficult though and I have only been able to make any progress on the "easy" setting. It's colourful and cute - with a strong retro touch which gets me every time. 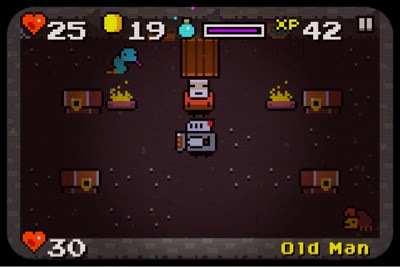 You find a very little bit of equipment but there's not much in the way of stats; defense increases when you find equipment and attack increases when you level up. 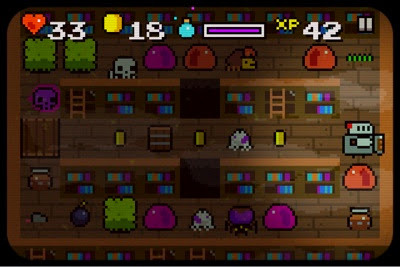 Other than that you have only keys and bombs to help you through the rooms. 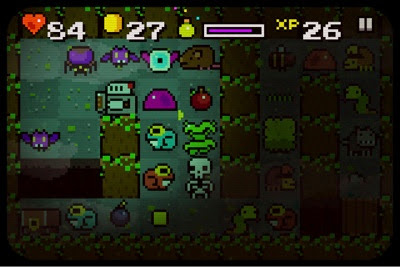 It's made by the one man studio Korigame based in Vancouver and it's great - show the guy some love and grab it on iOS, it's a great little dungeon-puzzler.